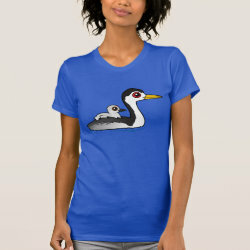 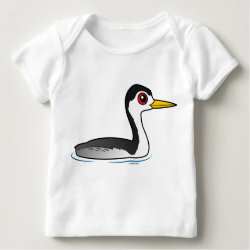 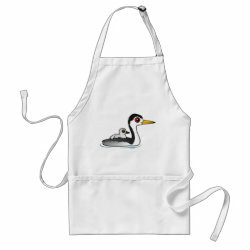 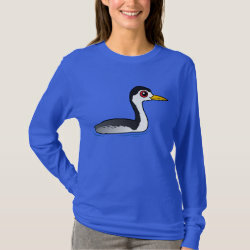 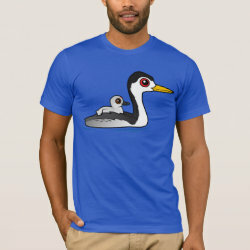 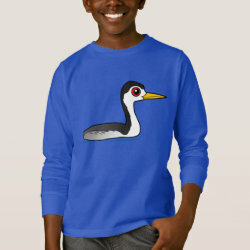 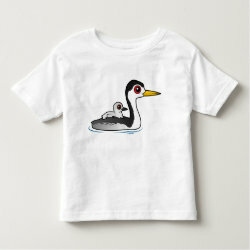 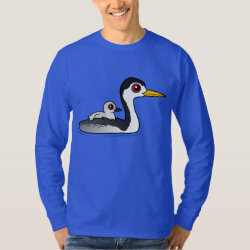 The Clark's Grebe is a large species of grebe found in North America. 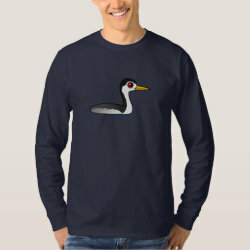 Until the 1980s this species was considered to be a color morph of the Western Grebe. 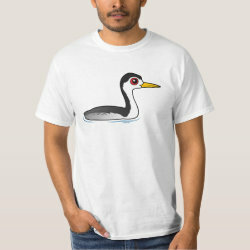 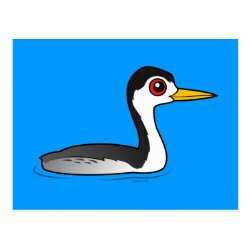 A western grebe, not to be confused with the Western Grebe. 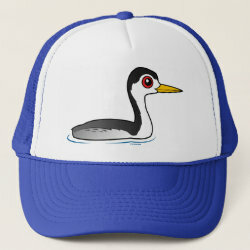 Though you could. 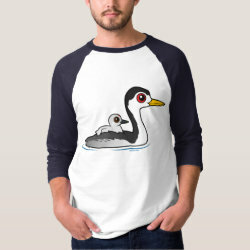 They used to be considered the same species. Clark's Grebes brood their newly-hatched babies on their backs. This close-knit care lasts up to 4 weeks.